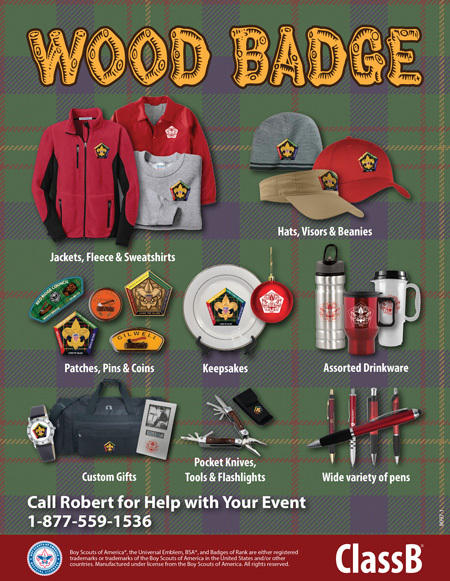 One Stop for All Wood Badge Items! 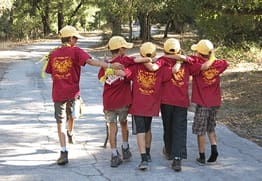 We only offer quality products that represent Scouting and create the lasting memories for scouters. 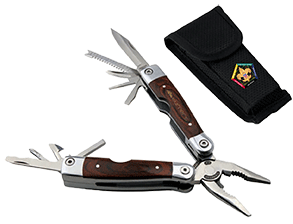 Whatever your budget, we have great items you will be proud to hand out to your particpants. Call for a Free Quote for your Wood Badge Course! Design ideas ready for your Wood Badge Course! 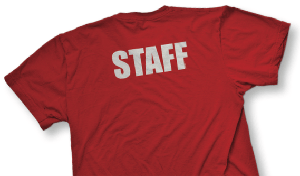 Many wood badge t-shirt and embroidery designs are made custom for your course’s theme. Let our artists create a design specific to your course. Many other course’s go simple and use the wood badge logo with the course number – we have that ready to go! 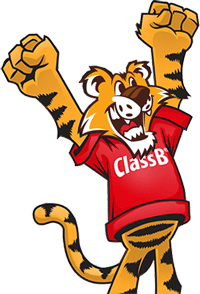 Ordering Course T-Shirts and Apparel is easy! 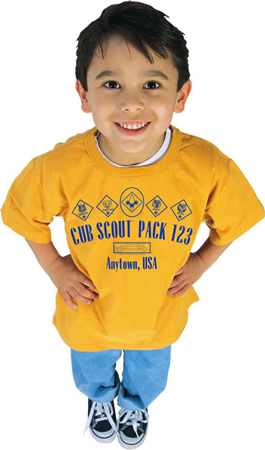 We take special pride in creating incredible patches for scouting, including for your course. 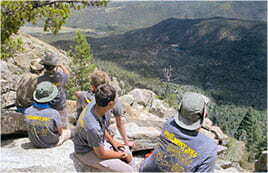 Wood Badge is a key program to building quality leaders but also to fuel the enthusiasm for scouting. 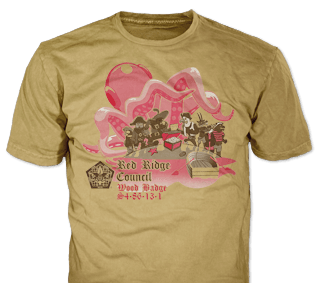 We will create a design deserving of the efforts you and your participants have put into your course. 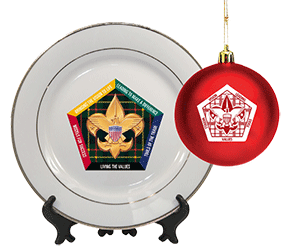 Besides the standard patch, we offer many other items to commemorate your wood badge course! There are literally 1000’s of options. 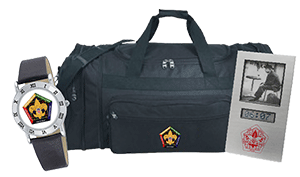 Based on your theme and our experience with what works for wood badge, we can find the perfect mix for your budget. 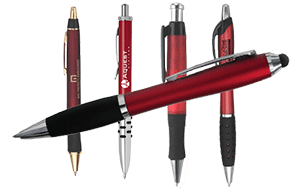 Call today to learn more about the products to hand out at your course! Custom Wood or plastic name tags for your wood badge course. 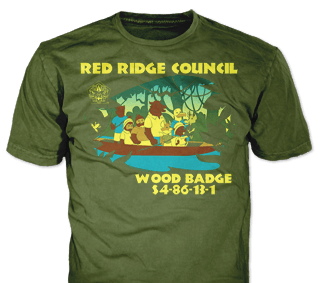 We can print your wood badge course patch or t-shirt design in full color on your wood badge name tags. 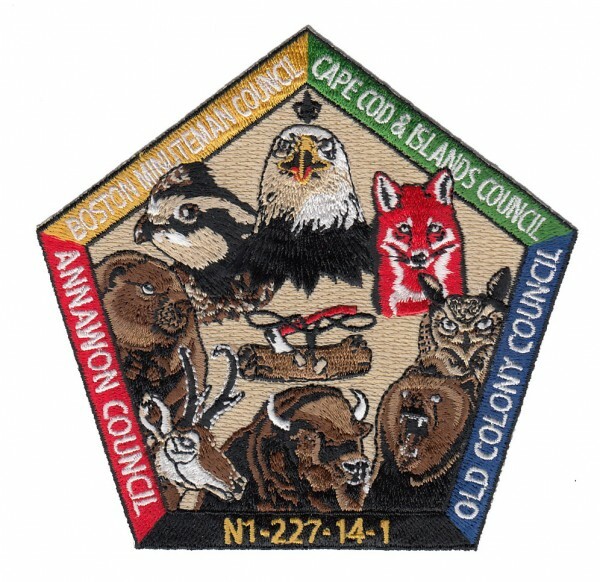 Call to receive Council discounted pricing on wood badge course name tags. 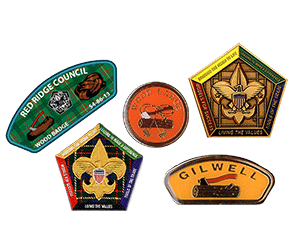 Offset the costs of your course by offering our popular wood badge retail products to your participants. 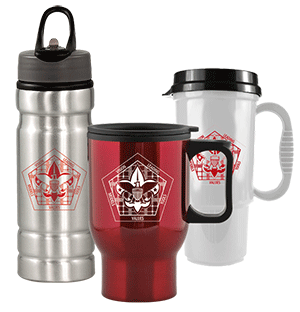 Wood badge items are also available for trading posts. Call 1-877-559-1536 to learn more.